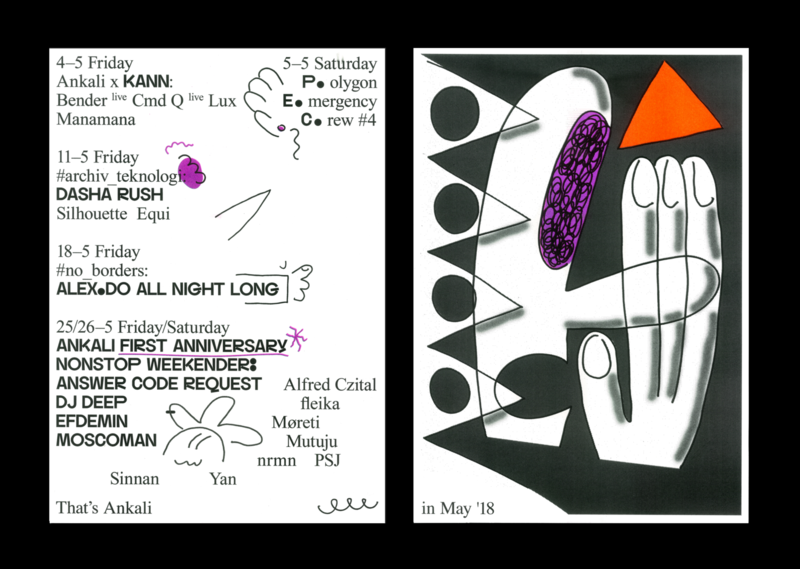 The beloved German label Kann is about to take over Ankali for one long night of gentle house and subtle disco. Following humble yet solid beginnings in late 00’s, Kann Records has lately been gaining strong momentum not only due to the house gospel spread by the founders – Bender and Sevensol & Map.Ache aka Manamana, but also because of the systematically fantastic output of the label. cmd q, one of the ‘newcomers’ of the label, will present his persistent atmospheric techno in a live set, while the multifaceted selector Lux will play a dj set, showcasing her wide taste for anything between electro to lush house. For a large part of the night the music will be served by the label founders – Bender [playing a live set] and Manamana, regulars at Panorama Bar and Nachtdigital who all have recently been getting wider recognition for their adventurous house sounds.